Feeding birds is an act of kindness and brings just brings about more joy into the world. And you can quote me on that! You’ll be amazed to see how many beautiful birds that will show up just by tossing a few bread crumbs or seed onto the ground. You don’t even have to ring a dinner bell; somehow, birds just know when it’s meal time. Planting flowers and vegetables that will eventually go to seed will tremendously helps to feed the bird population. The next time you grow flowers or a bit of lettuce, be sure to allow a plant or two to go to seed for the birds to eat. 1. Asters - Add asters to your garden and you'll definitely attract birds. Asters grow in almost all regions. Cardinals, Chicakees, Goldfinches, Indigo Buntings, Nuthatche, Sparrows, Towhees and Wrens all love aster seeds. 2. Black Eyed Susan - black-eyed Susans are a prairie garden staple and they grow just great in the desert southwest. Keep a few standing during the winter months and you'll American goldfinches, chickadees, cardinals, nuthatches, sparrows, and towhees, and wrens. 3. Marigold - A staple in any border or vegetable garden to ward off pests. Dried marigold seed is a tasty treat to almost all birds. 4. Coneflower - Add height, color into you garden by growing cone flowers. Birds love them and they grow in the worst soil. It’s a great feeling to be able to feed your local bird population. Local habitats are being turned upside down. What was once natural ecosystem is now residential homes or strip malls. 5. Zinnia - These little flowers are like the cherry on top. They're sweet and beautiful and birds absolutely love them! Folks who aren't used to the Southwest simply see the desert and sandy planes simply as dirt fields. Most of us desert rats know if you look closer, relax your eye and just breath it all in and you’re going to see much wildlife even on what seems a baron piece of property. Where there are bugs, there are usually birds. The natural and rural landscape is slowly changing to urban life and so, birds can use a little help in finding food. The winter months are usually when birds need the most help in finding their next meal. Attracting birds to your property is easy breezy. I've never met a bird who doesn't like bird seed or bread crumbs. If you live in an urban area with very little native vegetation, birds would sure appreciate the hand out of simple crumbs. 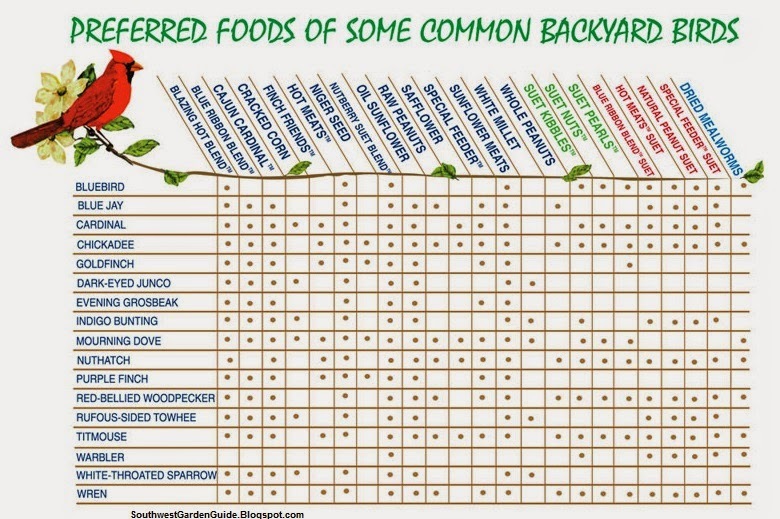 Because your neighborhood is missing the native plants, the birds will have a hard time finding natural food. Without having a reliable food source, your local birds will soon leave to find food elsewhere. Some communities around the world have lost native bird populations due to urban planning. Feeding birds can be very therapeutic. 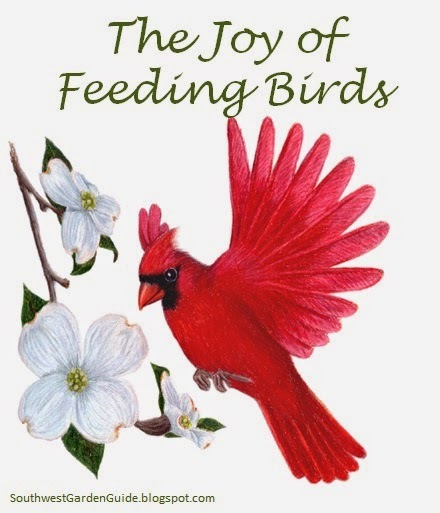 Feeding your local bird population will give you peace and pure satisfaction of knowing that you're contributing to the animal kingdom's survival. The best way to attract a few birds is with consistency and color. Feed birds regularly and try to do it at the same time each day. I would recommend mixing a bit of bird seed with bread crumbs, dried cereal, apples, raisins, crackers, oats etc. 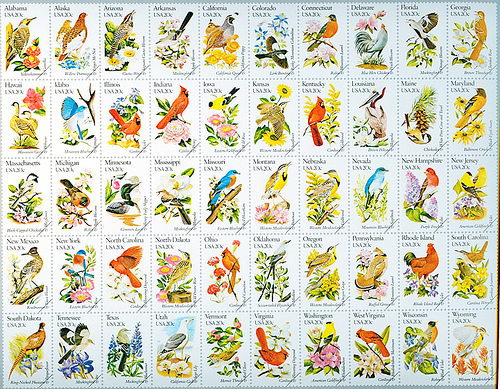 Birds are attracted to color, shapes and size. Depending upon your circumstances, and if you don’t have berries, nuts or seeds to offer. Then be colorful if offering your dried or stale bread, popcorn, and cereal, raisins, cookies etc. From experience, I've found that all birds seam to truly enjoy Rice Krispies and Cheerios. I don’t blame them. I usually give them the bottom of the barrel, so to speak. You know when you get down to the bottom of the box and you have either broken bits of cereal or cereal dust and no one wants to eat it? Give it to the birds! They love it. WARNING: DO NOT FEED BIRDS DRIED/UNCOOKED RICE! This may harm their digestive system and cause fatality. Particular birds are attracted to raw uncooked rice in the natural environment. Rice isn't a natural food to most species. Cooked rice is fine to feed your feathered friends.There's a reason why weddings stopped tossing rice at the bride and groom. Once birds start to notice that bird food is being left for them, soon others will follow. The first birds to show up are usually sparrows and wrens. They’re so funny to watch. They like to hop about pecking for small bites. Every now and again you’ll see them rolling in the dirt to ward off mites and just to have some fun in the sun. You can either drop some bird food of your choice into a bird feeder or simply scatter it on the ground. Birds don’t seem to care where their next meal comes from as long as it’s visible and in a safe place. Don’t scatter or put a bird feeder where cats tend to roam. I would recommend feeding birds in a wide open area. This will give birds a heads up and running chance at getting away from a cat. *Birds don't care if you toss food on a driveway, put it in a bird feeder or scatter it in the grass. Birds were born with skills beyond belief. They're going to find that bird food no matter where you put it as long as it's in the open and away from predators. After you start feeding birds on a regular schedule you’ll then start to notice more and more birds stopping by to feed. You’ll attract a variety of birds that you don’t usually see. This is when things get good. Every now and again you may see a colorful bird, or a big bird, or a tiny bird. If you're lucky, maybe you'll see an exotic bird on its way to Canada or Argentina. It’s always fun to see birds that you've seen before. Another thing to know about feeding birds is that different birds come and go. There are certain birds that are always around and then a few species that are only around for a few weeks or a season. I've also notices that sparrows usually disappear whenever a crow shows up. You have to be adamant about not feeding crows if you plan on attracting pretty little birds or even pigeons and doves. Crows can be a problem for you and other birds. They're just down right bossy and seem to take over. If you’re regular about scaring crows away.. they’ll usually get the idea that it’s dangerous for them to stop to eat at your place. Just know when your birds run out of something to eat, they’ll soon fly off to another feeding ground. Don’t take it personally. Even if you’re not able to set out bird food at a particular time each day, it’s great if you can at least feed the birds daily, no matter the time. I come from a long line of bird feeders… meaning that my ancestors have always feed birds. The women in my family usually toss out crumbs, fruit, scraps of bread, dried cereals, oats and grains, etc., etc. Why toss it out when your scraps of grain can go to the birds? Every little bit helps in helping to feed the local bird population. 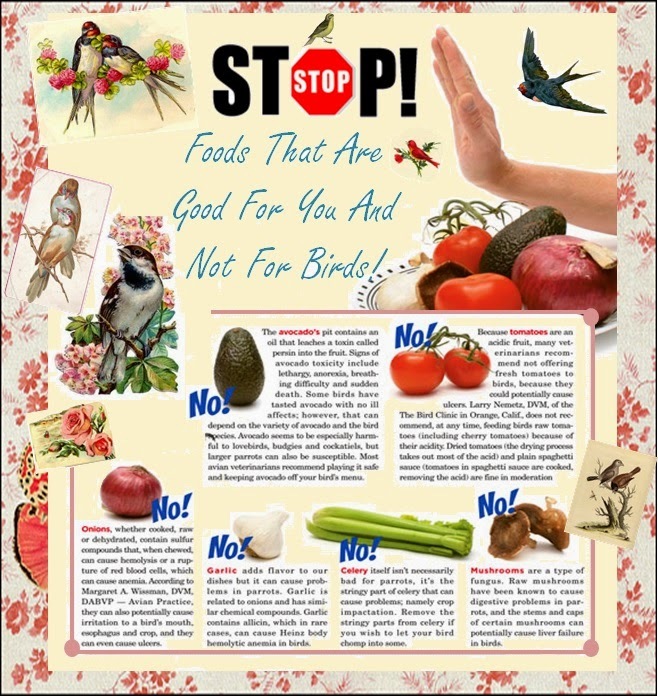 Whether its summer or winter, or you’re in country or city dweller, keep feeding the birds. It’s much appreciated.